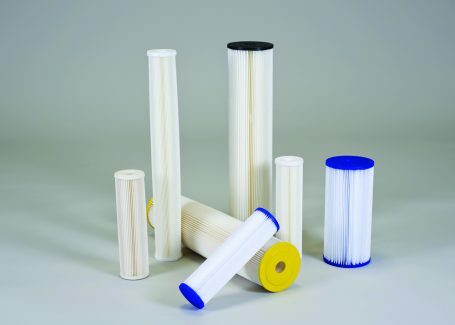 American Melt Blown & Filtration (AMBF) is a fully-equipped filtration manufacturer producing industry-standard, custom, and OEM-specified filters to meet your most demanding filtration technology applications. AMBF is ideally located in the mid-west heartland of the USA and works closely with our distribution network to offer you second-to-none service and delivery of product when needed. 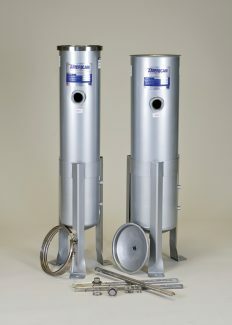 AMBF manufacturers both industrial process filter vessels (both cartridge and bag styles) and filter elements. 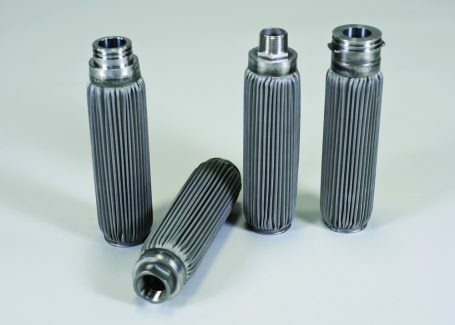 Our filter element manufacturing process is “state-of-the-art” and allows us to produce elements to exacting nominal or absolute retention ratings. Additionally, AMBF offers oil absorbents to assist in meeting our customers’ EPA regulations. 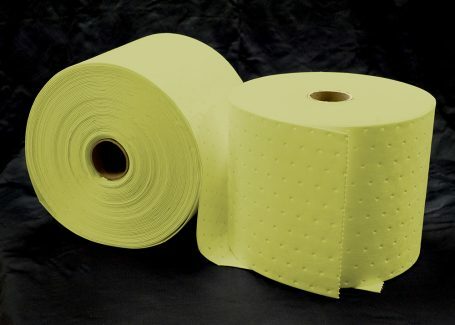 We offer absorbent product for cleaning-up all water and petroleum-based spills; as well as a host of absorbent products to clean-up unknown (hazardous) liquids from water, chemicals, oils, etc. Elements are made from 1 to 100 micron in nominal and high-efficiency absolute grades to meet the entire spectrum of efficiency ranges. AMBF’s string wound elements are manufactured in-house on custom, high-speed, computer- controlled machines for precise thread spacing. In-house lamination and calendaring of our media allow us to control the porosity of the final media grades. 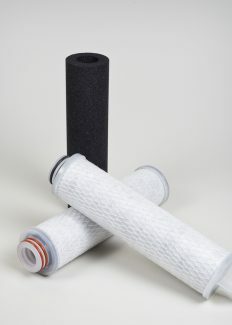 AMBF produces all of our carbon block filter products in-house and offer them with pre-filtration polypropylene media wrap for added performance and cleanliness. 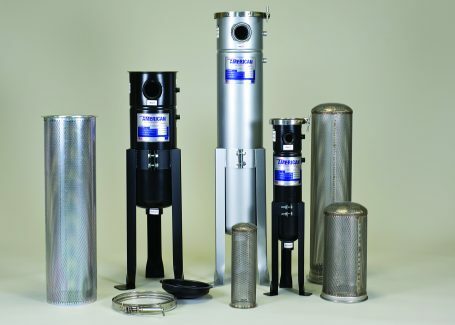 AMBF’s stainless steel cartridge filters are produced using the highest quality 304 or 316 stainless steel materials with welded/crimped support construction. 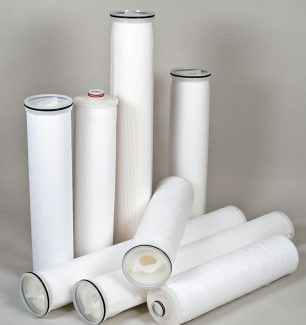 AMBF offers the highest quality 90% and 99.98% efficient pleated process filter elements on the market today. We produce our polypropylene media in-house and under the strictest GMP guidelines to ensure consistency and repeat-ability. AMBF offers high-efficiency glass microfiber cartridges which are produced in-house utilizing the most modern equipment and in a clean room environment. 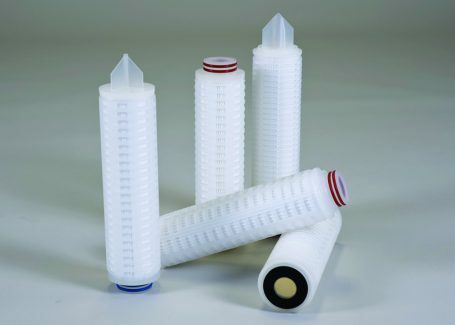 AMBF’s (PES), Polyethersulfone cartridges are manufactured in-house and offered in high-efficiency ratings of 0.1 to 5 microns and in all industry standard lengths and end cap configurations. AMBF’s Nylon 6,6 cartridges are manufactured in-house and offered in high-efficiency ratings of 0.03 to 20 microns and in all industry standard lengths and end cap configurations. 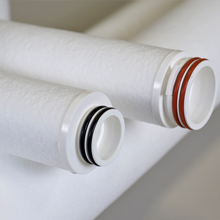 AMBF’s Teflon (PTFE) cartridges are manufactured in-house and offered in high-efficiency ratings of 0.02 to 5 microns and in all industry standard lengths and end cap configurations. AMBF is now manufacturing a patent-pending, dual-graded depth media filter technology. 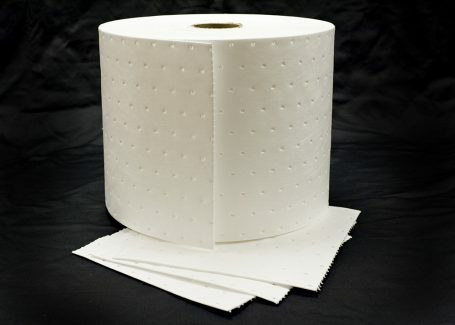 This product incorporates a proprietary melt-blown cartridge and bag element media design which adds 637 cubic inches of additional effective filtration area. No other filter bag holds more dirt. 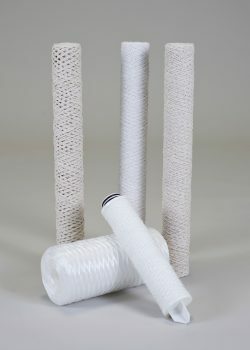 AMBF offers a 5-layered, all-polypropylene, extended area pleated element for increased flow and dirt-loading capacity. Flow rates up to 500 GPM per element. AMBF offers a full line of heavy-duty liquid cartridge filter housings with a quick open clamp closure design. AMBF offers a full line of heavy duty liquid bag filter housings with a quick open clamp design available in five industry standard sizes (#1, #2, #3, #4 & #12) for flow rates from 5 to 225 GPM. Housings can accept different mesh lined baskets per your application request. AMBF’s Hazmat sorbent products offer a strong, maximum absorbent for cleaning up of unknown liquids including a host of chemicals, water and petroleum-based spills. Our hazmat sorbent products are designed to encapsulate and absorb the liquid for easy cleanup, making them an effective tool for industrial facilities, automotive repair, railroad spur transfer areas, aviation maintenance and emergency first responder applications. AMBF’s strong oil-only hydrophobic products are proven to absorb hydro carbon petroleum based liquids, making them an effective tool for use in drilling fields, industrial plants, automotive repair, aviation maintenance, emergency first responders and marine applications. 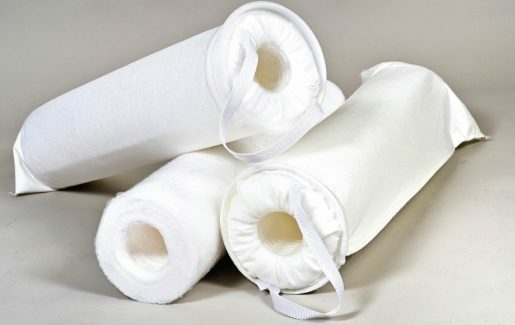 They can be used during emergency containment situations to absorb spills, leaks or drips for fast, easy clean-up.